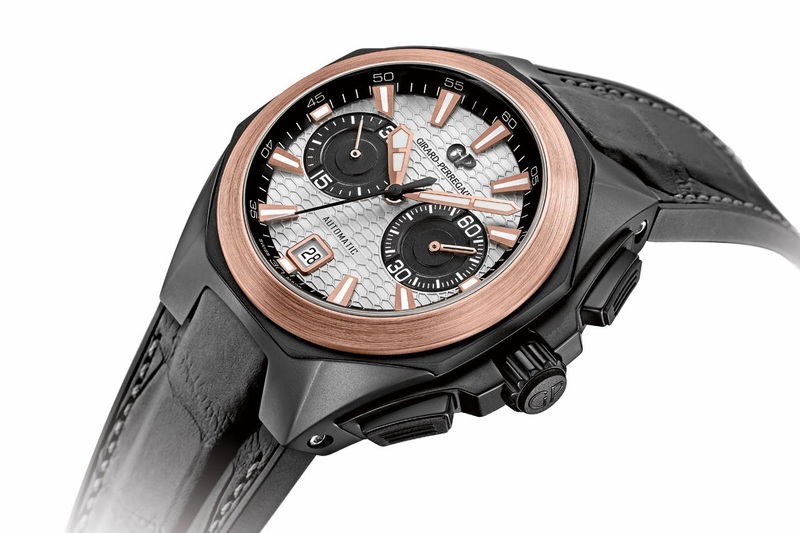 Girard-Perregaux celebrates the art of cinema with a special edition of the Hawk Collection: the Chrono Hawk Hollywoodland. This special timepiece highlights once again Girard-Perregaux’s passion for the cinema, and its engagement to celebrate movies. The all-new Chrono Hawk Hollywoodland takes centre stage clad in gleaming gold and black ceramic case and bezel — a material whose very existence is emblematic of the progression of time and science. The watchmakers pay playful homage to Hollywood with a keen eye toward the materials they used with alternating matte and gloss finishes accentuating the relief carving of the case. The dial works mightily to increase the depth of field. Luminescent keys (all the better to see in a dark cinema, if you must), a worked flange, counters and strikes carved in relief fit together, inspired by the shape of the bridge. The chronograph functions are traditional but its performance is pervasive, thanks to the mechanical, self-winding GP03300 manufactured calibre, whose visible oscillating weight by the sapphire recalls the Brand’s identity codes. 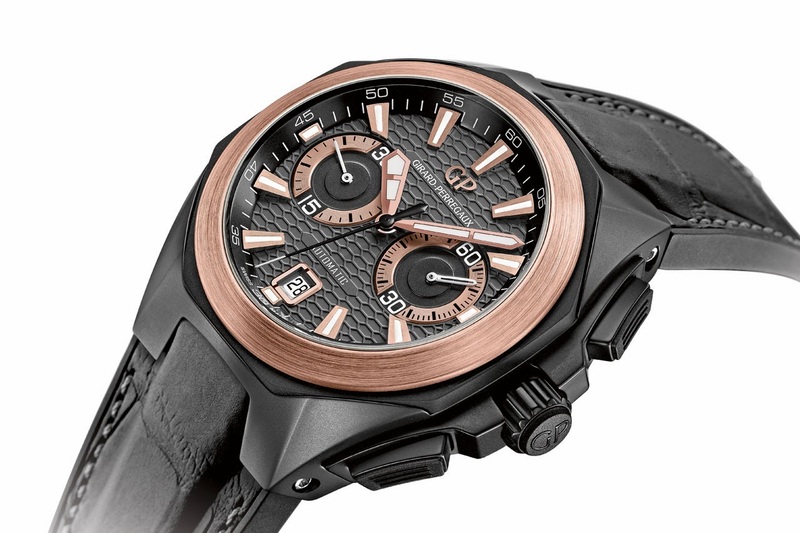 The all-new Chrono Hawk Hollywoodland, of course, was designed in tribute to Hollywood: a dream of a watch paying fealty to the industry that makes dreams spring vividly to life. This timepiece also highlights the Brand’s commitment to celebrate movies. In 2012, Girard-Perregaux announced it would be the Exclusive Timekeeper and a Founding Supporter of the new Academy Museum of Motion Pictures, to be located in Los Angeles.